Spending a Tuesday night at Chill on the Hill with the fam. 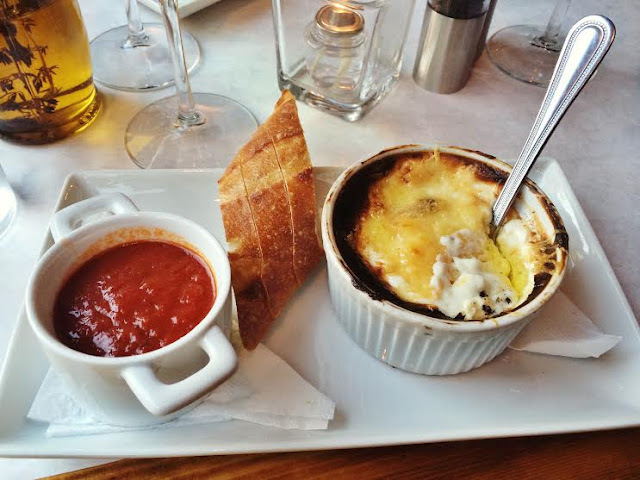 Downtown Dining at Onesto and being served pots of melted cheese. Baking yummy banana cake and learning a trick to lock in moisture. Having our housewarming party busted by the cops. 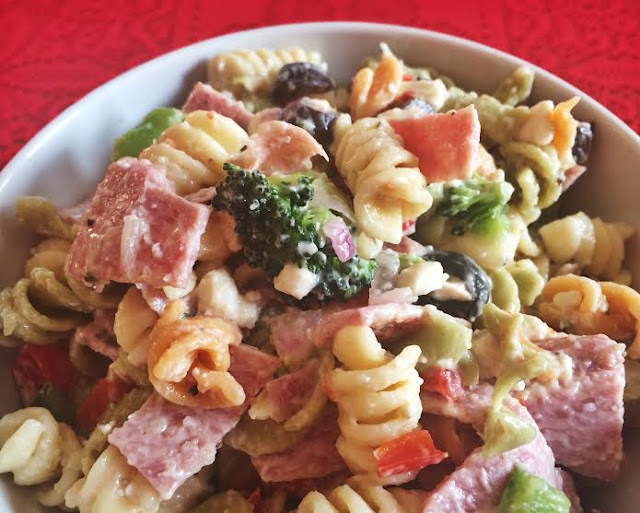 Making Aunt Kathy's Italian pasta salad — yay leftovers for days. 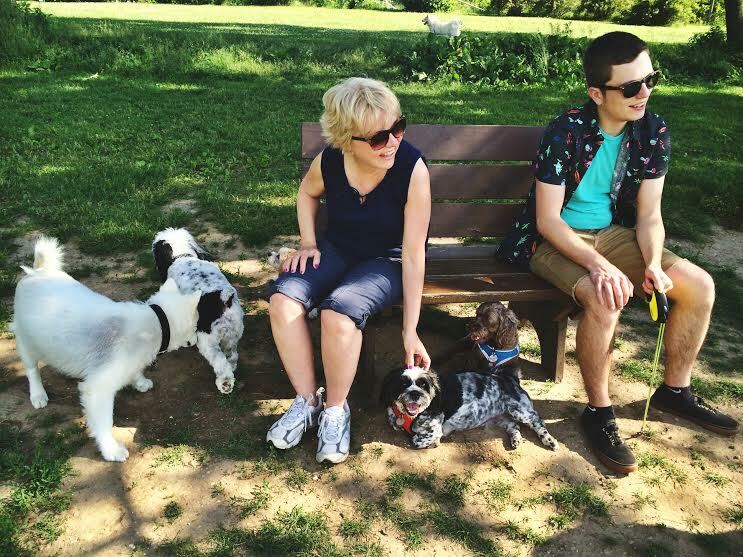 Taking Pippin for his first outing at Minooka's dog park. We found one in Shorewood! I'd heard of these Little Free Libraries before, but never seen one. One sunny day heading back from Atwater Park with my brother, that finally changed. 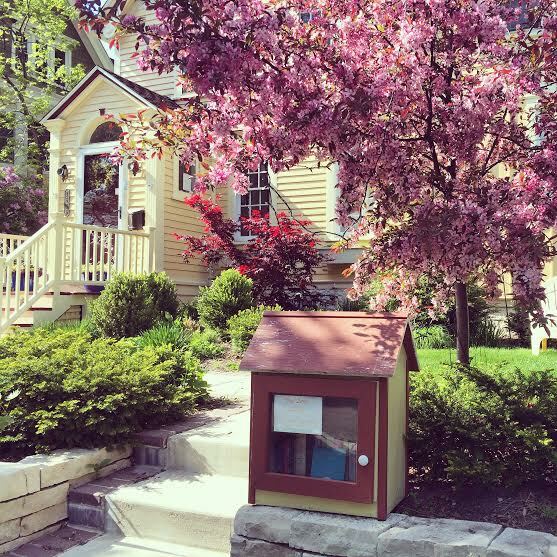 This charming Little Free Library is on Jarvis Street in Shorewood, somewhere between Lake Drive and Maryland. Kevin and I peeked inside — books of all kinds, a mix CD, and an adorably-wrapped disk labeled "My Ice Bucket Challenge." I love that you could really leave anything in a Little Free Library — something as personal as your favorite mix of music or even a beautiful picture book that would really make a kid's day. We didn't take anything because we had nothing with us to leave behind. That's how it works: You leave a book, you take a book. 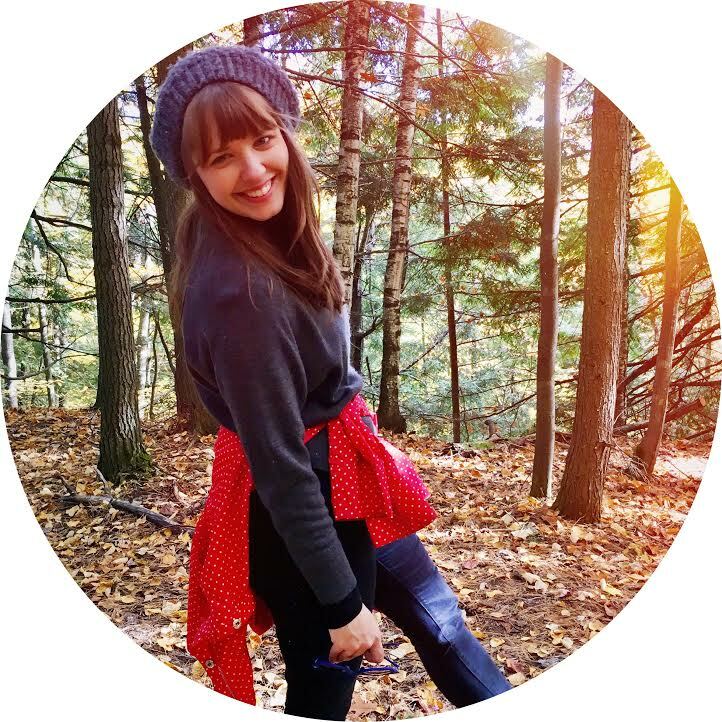 But I'm excited to come prepared the next time we go to Atwater Park — you should, too! 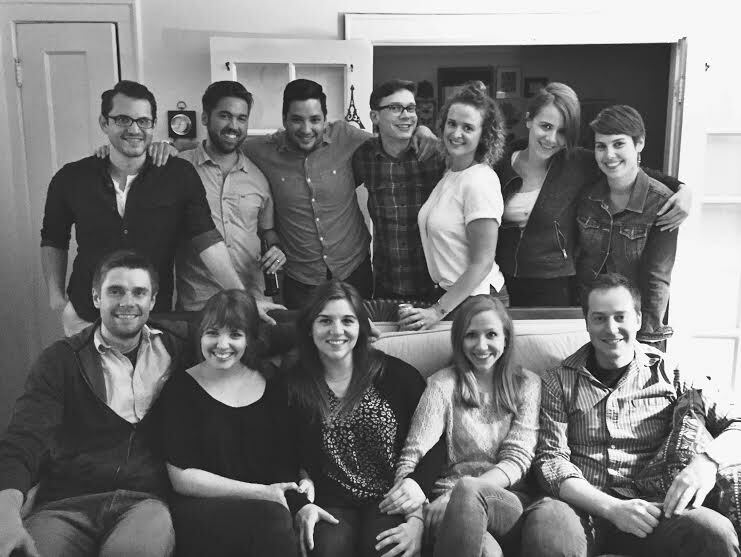 A couple weekends ago, Adam and I hosted a housewarming party and, as you might remember, the cops showed up. 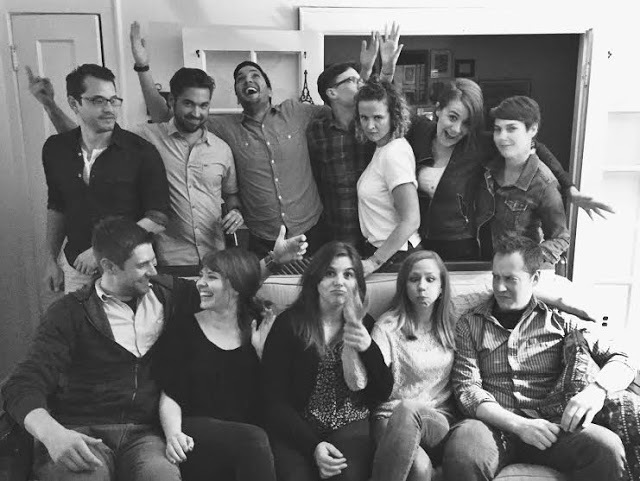 It wasn't even a rowdy party, just a bunch of late-twenty-somethings catching up and eating homemade pasta salad. No doubt you'll believe me when I say that my friends and I weren't the problem. But enough about the police — more about the pasta! 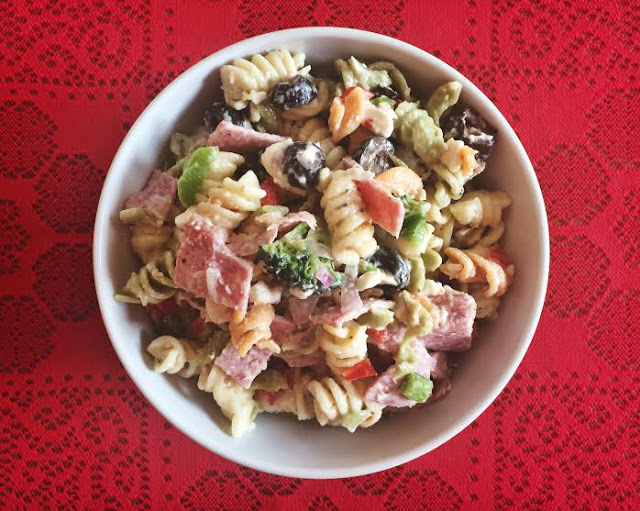 This is a delicious, traditional (as we Americans know it) Italian pasta salad; miles better than what you'd buy at your local grocery store's deli. Forget that stuff — this salad comes together so easily! Just cook the pasta, chop up the choppables, mix it all together — boom. Mix it all together and say yum! * Note: I gave some ranges on the ingredients — some of that depends on your personal taste. I'm not huge on olives, for instance, so I just added one jar. 1 and 1/2 pounds of salami looked like a helluva lot, so I just added 1 pound. The broccoli heads I bought were pretty big — I added the florets from just one head. Eyeball the dressing, but you will want more creamy than non-creamy. I ended up using most of the creamy bottle, adding a little extra to the salad just before serving (it loses some juice as it sits in the fridge overnight). If you're bringing this to a party, there's no need to double the recipe — this amount makes plenty! Adam and I were happily eating leftovers for days. In fact, if you're making it for a smaller group and serving other heavy apps alongside, you might want to halve the recipe. Whatever amount you make, you can't go wrong with this one! 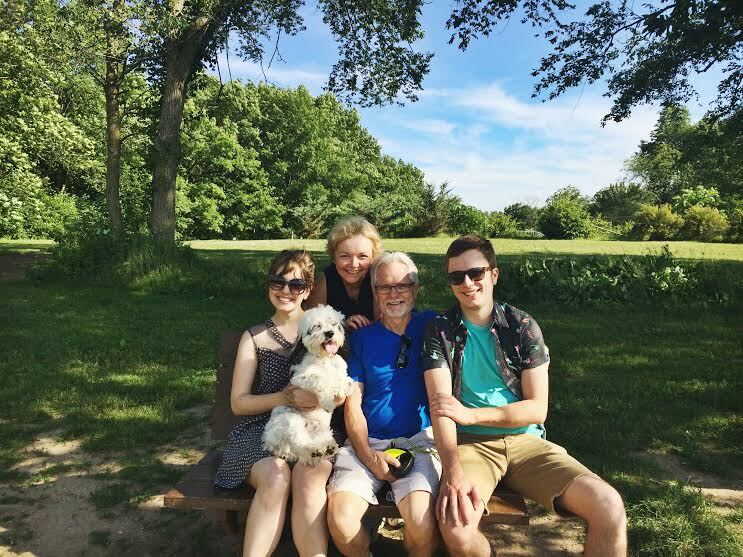 Father's Day was eventful this year: Taking Dad to breakfast, making turtle ice cream pie, helping Mom with her now-signature spinach, mushroom, & feta turkey burgers (recipe courtesy of Penzy's Spices) — and letting Pippin go off-leashing at the Minooka's dog park. Minooka Park is about 2 minutes from my parents' house, so why we've never ventured there before is just silly really. But Father's Day was the first day of summer (and actually felt like it! ), so the Lawler family hopped in the minivan to test the waters at the dog park. We've never let Pippin outside without a leash before, except at my aunt's fenced-in backyard pool — which isn't really the same thing. Turns out, Pippin is a natural off-leasher — running free, but coming when called and making lots of little friends. He even brought his new pals over to meet us: a trio of toy poodle mixes. 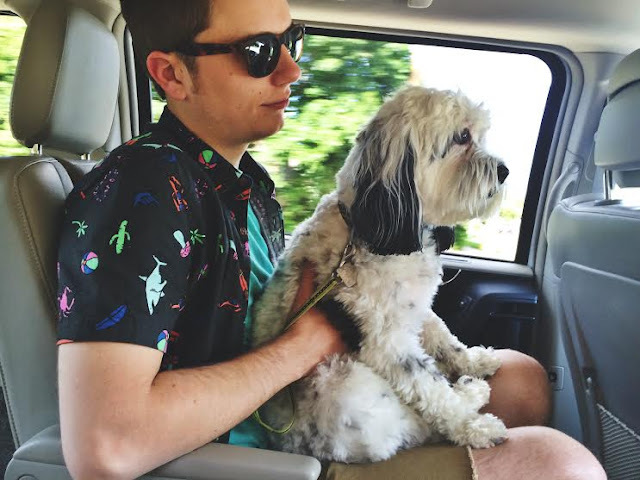 The black and white one is Murph — an old man who could only waddle, never run, with his feather duster tail in tow. When his comrades later took off sprinting with Pippin, Murph stayed put under our park bench. We had to laugh at how Lawler-ish Pippin proved to be, even when left to his own devices. 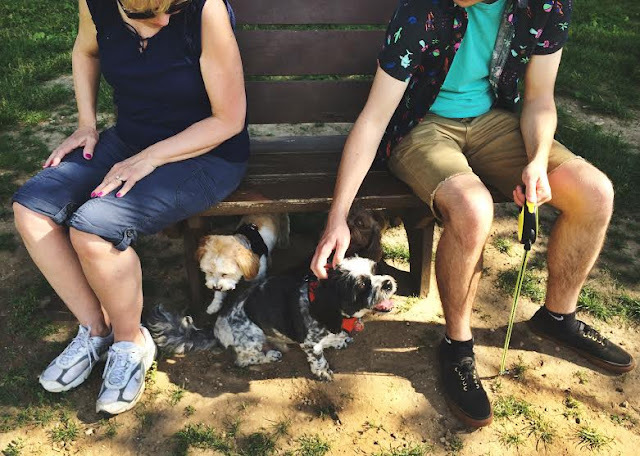 Other dogs went wild with running and sniffing to no end; Pippin was truly the only one who soon decided "enough of this" and laid down in the shade. We Lawlers enjoy a good rest. Minooka Park has both a small dog area and a large dog area, each fenced in. The park itself also has a sizable pond in need of exploring (and picnicking), sand volleyball courts, covered pavilions for parties, and I'm sure plenty of other goodies. 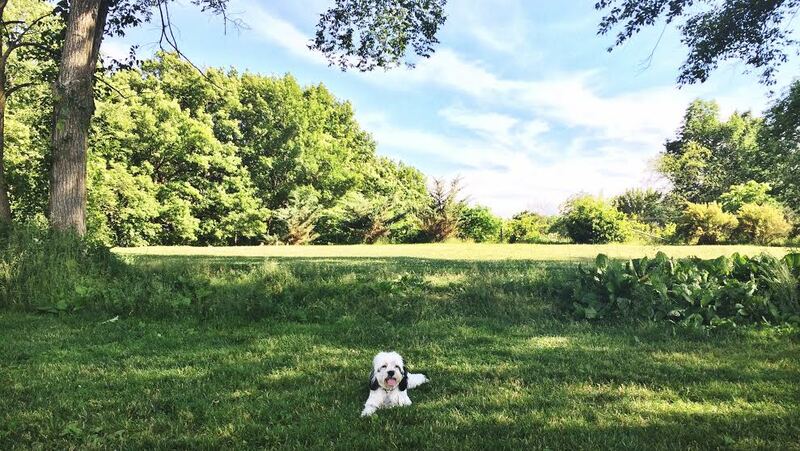 To come to the park on a whim is $4/car; a season pass is just $30 — worth it if you live in the Waukesha area and have a dog. Or just an affinity for parks. I'll keep this story short and sweet. It starts with two people who met in college, dated almost 6 years (! ), and finally moved in together. Our apartment is coming together, we had friends in from out of town, so we felt the time was right to have a housewarming party. I made sugar cookies and my go-to brownies, mango salsa, curry chicken salad, and pasta salad (recipe coming soon!). Friends from college and beyond showed up bearing delicious beer, treats, and party records for our newly acquired turntable. 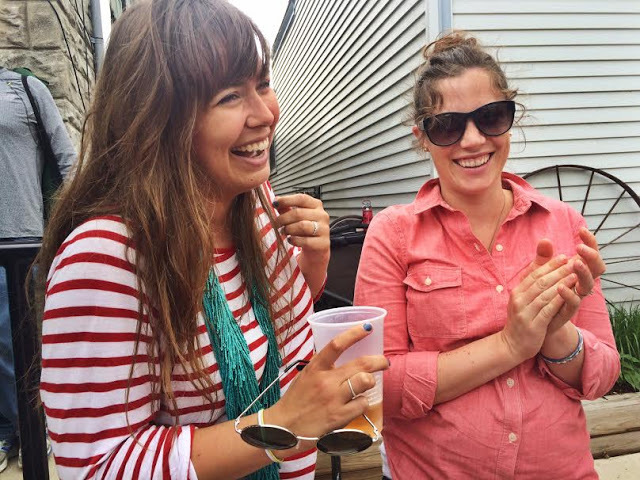 There was lots of laughter and spirited conversation — and then the cops showed up. Pounding on the door. At 10:30 PM on a Friday. Noise complaint. No really. Not surprisingly, the officers could see that we posed no threat. If they had questioned us further, I would have asked if they cared for some brie and fig jam to go, and that surely would have secured our innocence. We were just a bunch of old friends catching up — how dare we! But as one officer put it, "It's an old building, the windows are open, and sound travels in this little village." Absurd and disheartening though the entire situation was, I'll try to look on the bright side: We're so Kevin Bacon in Footloose, amiright? My amazing friends quieted right down and leapt into action, packing up all the food and clearing away dirty plates in preparation for our mass exodus to a bar across the street. They really are a wonderful bunch. Which is why I'm thrilled we at least got in a couple of ace group shots of the Marquette alums before the buzzkill came. Then again, that noise complaint — whoever you are — gave us a story and something to eventually laugh about; they can't say we don't know how to throw an eventful party. Here's to many more! I stumbled upon this recipe in the pre-Pinterest days of Food Gawker. Does anyone use Food Gawker anymore? 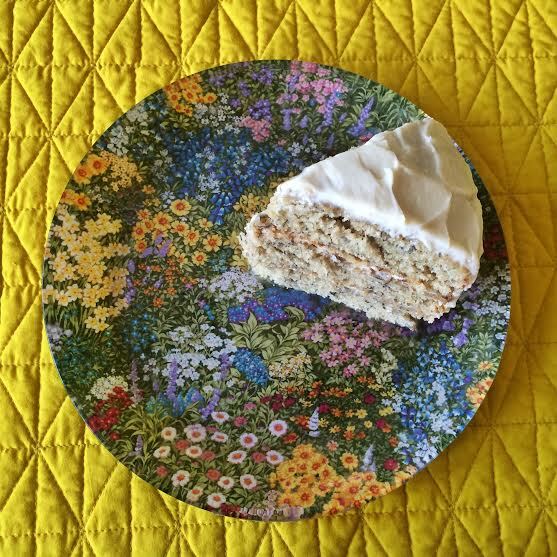 Anyway, it was called "banana dream cake," and it's been on my must-try list for years. But I just never got around to it; give the people what they want (chocolate). So when I pitched the idea of banana cake to my chocolate-loving mom for an upcoming family party, I was surprised and delighted when she ooh-ed and aah-ed at the idea and was totally for it. And this cake really is enough to make a believer out of any chocolate-preferred dessert eater. I mean, peruse the comments on the original recipe and you'll see the rave reviews for yourself: things like "this is the best cake I've eaten in my entire life." No pressure! 1. For the cake: Preheat oven to 275 degrees. Grease and flour three round baking pans (the recipe calls for 8-inch, but I only had 9-inch and it worked just fine). 2. In a small bowl, mix mashed bananas with lemon juice and set aside. In a medium bowl, mix flour, baking soda, and salt, and set aside. 3. In a large bowl, cream butter and sugar until light and fluffy. Beat in eggs one at a time, then stir in vanilla, sour cream, and apple sauce. Beat in the flour mixture, alternating with milk. Stir in the banana mixture. 4. Divide the batter into the prepared pans. Bake for 40 to 50 minutes, or until a tester inserted in the center comes out clean (I would check after 30 minutes just in case!). 5. Remove pans from oven and immediately drop into the freezer (don't bother covering them). Let the pans rest in the freezer for 45 minutes; this seals in moisture. If making cake the night before you need it, remove the pans from the freezer after 45 minutes, then remove the cakes from the pans and cover in two layers of plastic wrap to rest overnight. 6. For the frosting: In a large bowl, cream together butter and cream cheese until smooth. Beat in vanilla. Add powdered sugar and beat on low until combined. *Note: The original recipe called for an insane amount of sugar: 5+ cups! I used 3, but I might even start with 2 next time and see how it tastes. You can always add more! Frost the cake and sprinkle with cinnamon for garnish. 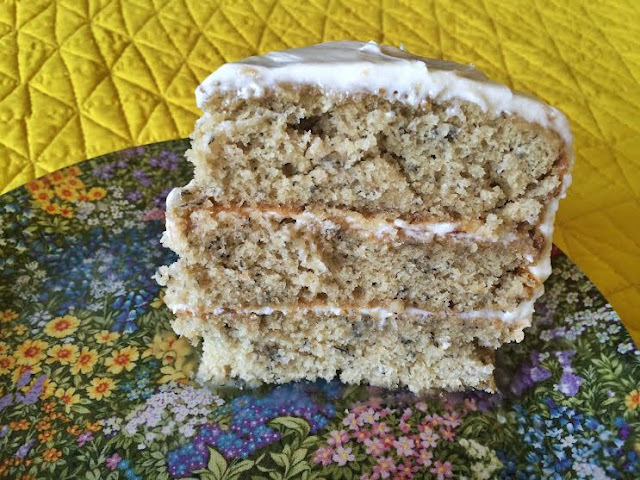 Popping the cake pans into the freezer is, I think, what really makes this cake so dreamy. Immediately cooling the cakes stops the baking process, locking in moisture. Cakes that rest on the counter are so hot that they will continue to cook (lose moisture) even after leaving the oven. So don't question the freezer method — just do it! And as you'll see above, this cake went over really well. It seriously was all I could do to convince my family to save me one piece — just one! — to photograph. That's how you know you've got a winner. Milwaukee loves its summertime outdoor music. Last year, Tosa Tonight was a favorite of mine; now I'm trying a new neighborhood on for size. There's a covered stage in Humbolt Park off Howell Avenue in Bay View. I'd only been there once — for IndiaFest last year. 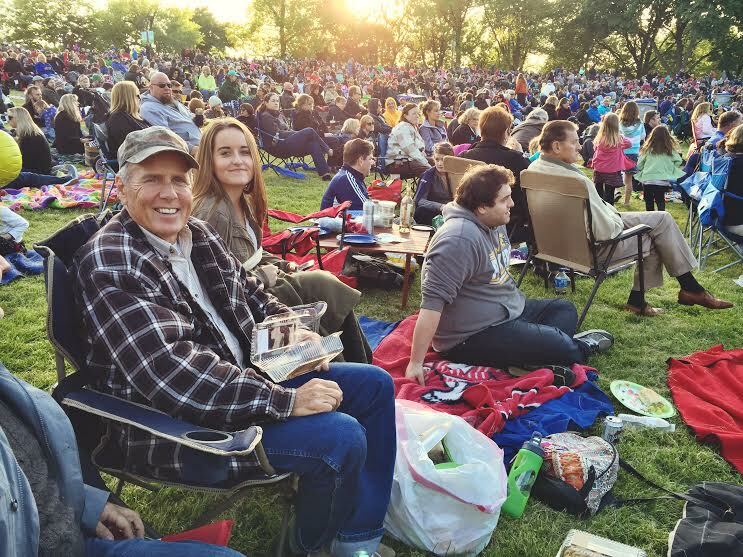 But this time, and for every Tuesday this summer, the park fills up for Chill on the Hill — and boy does it fill up! The weather wasn't even particularly nice last week (surprise: it was cold), so I can only imagine how much the hill must be hoppin' on a true summer night. Although other people set up tables with buffets of food, my family mostly sprawled out on blankets. Arriving around 5:30, I found us a spot pretty easily — before the hill really filled up. The website says Chill on the Hill starts at 6:00 — but the music didn't start until at least 6:30, maybe even 7:00, so bear that in mind if you go. 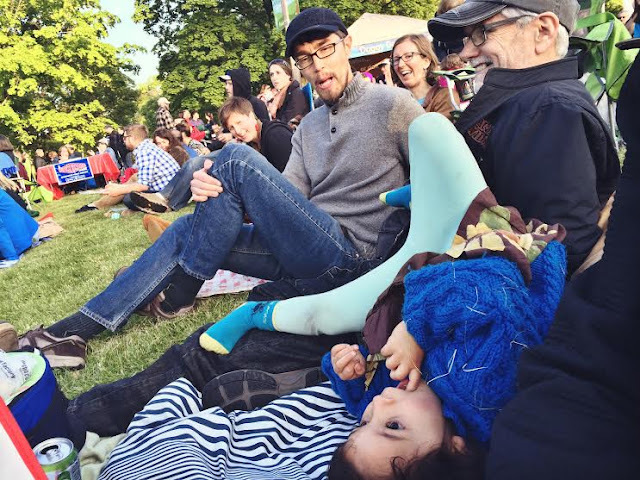 Also bear in mind that there's lots of mingling: My dad made a new best friend — the kind that treats you like a human jungle gym. 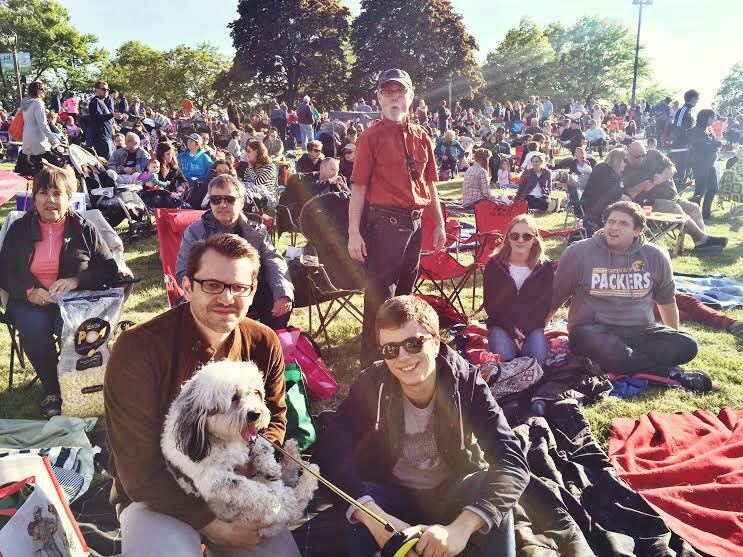 We saw the Milwaukee Symphony Orchestra — which was fun, but not all I had built it up to be. It was actually hard to hear sometimes, and while I'm all for a good patriotic tune, we were holding out for some iconic movie theme music. Crowd pleasers, amiright? No such luck. Still, of course the music was a great thing, but it's the together-outside-in-summertime that really makes events like Chill on the Hill so worth while. 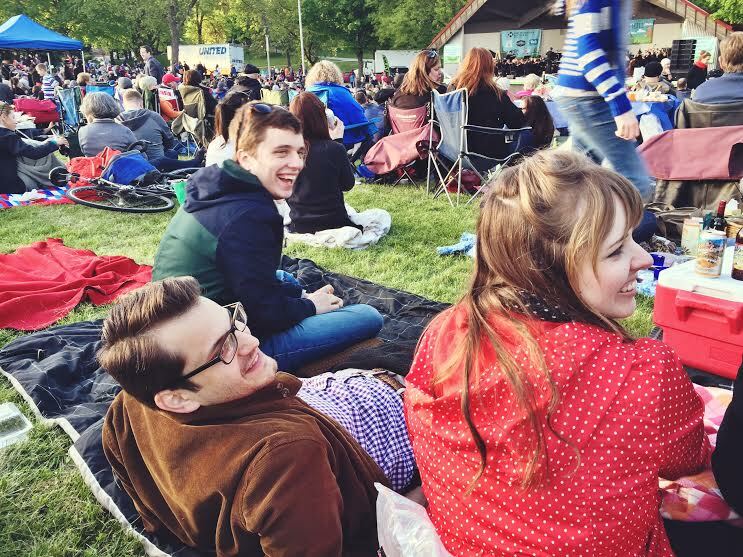 Picnics and friends make summer weeknights feel special — like we're not just working for the weekend. 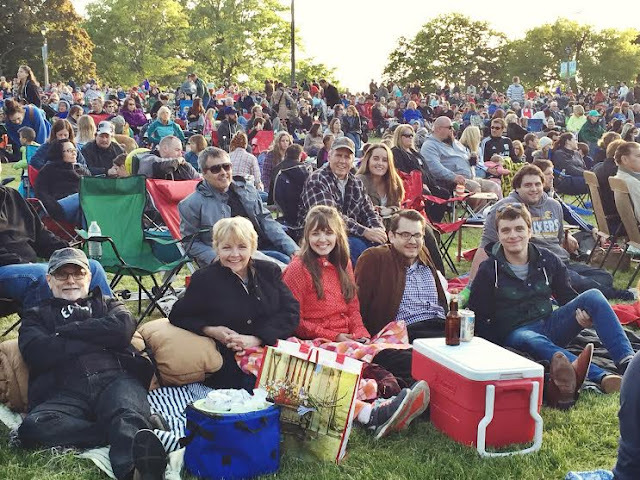 Check out Chill on the Hill's summer 2015 schedule here. Last year, I indulged in Downtown Dining Week at the aptly named Indulge. This year, friends and I tried another place that was new to us and relatively new to Milwaukee's Third Ward: Onesto. That's "Honest" in Italian, and for the most part this place was chic, charming, and lived up to its name — except for a particularly perplexing first course. Billed as "baked provolone," I guess we were expecting something of the breaded mozzarella variety. 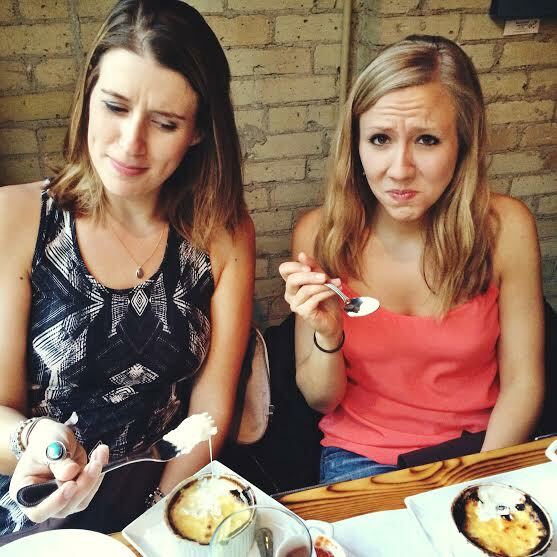 Instead, we were each presented with a not-so-little pot of melted, bubbling cheese — like creme brûlée, but cheesy. On the side, a smaller pot of marinara sauce and a spoon. We looked at each other like: What are we supposed to do with this? Eat it like soup? #Gluttony? Luckily Onesto also serves Italian bread before the meal, so spreading the gooey cheese and sauce on slices of bread normalized the experience. To be onesto, it was really yummy — it just seemed like we should've shared one between us. For the main course: pasta. 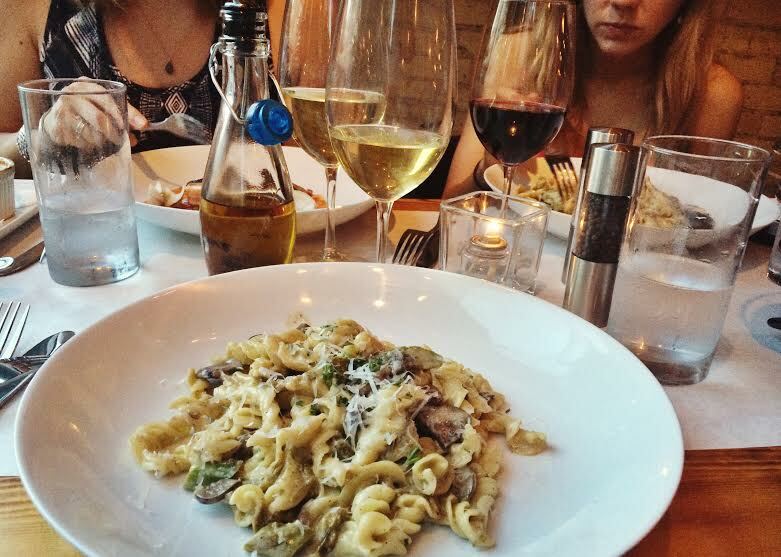 Christina and I both loved the fusilli with asparagus and mushroom cream sauce. Like, really loved it. My only concern is that some people might find it salty, but I'm a fan of nicely salted pasta. More flavor please! And the cream sauce wasn't heavy — it was just right. I'd for sure go back for more o' that. Kaitlyn, on the other hand, ordered the salmon and wasn't impressed. So live and learn and try the pasta. 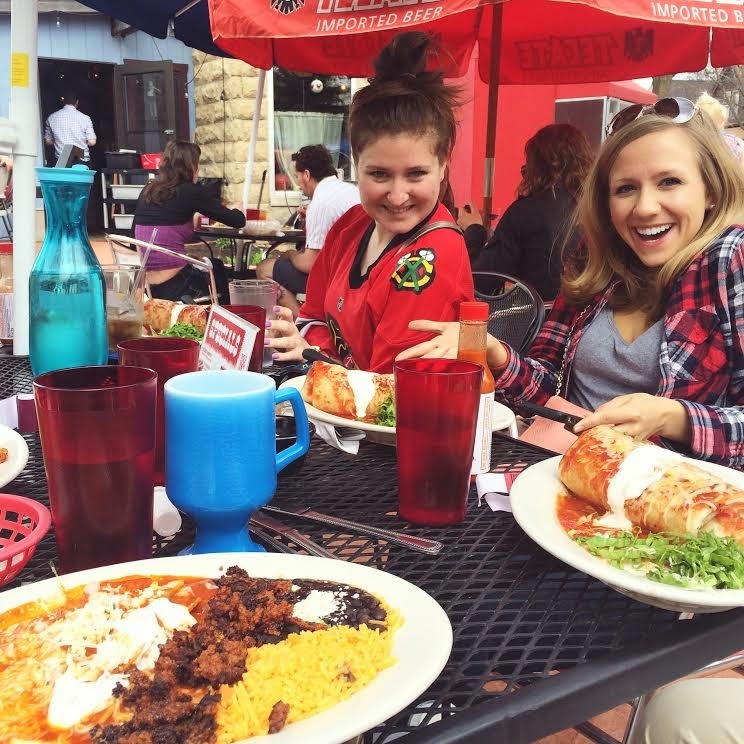 Downtown Dining runs through this Thursday, June 11th. For Memorial Day, I needed something quick and easy to bring to a barbecue. Being a crazy person, I was also determined to bring something homemade. 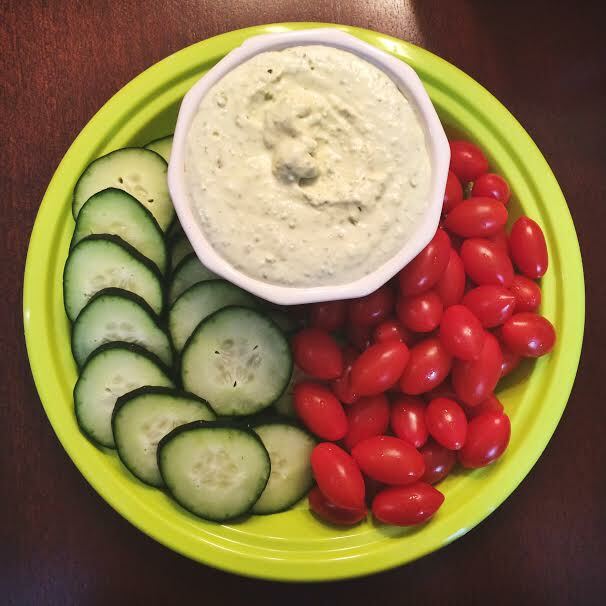 So when I ran across this seven minute garlic jalapeño whipped feta dip, I knew I'd found the one. In a food processor, combine feta and cream cheese and mix until smooth. Add all other ingredients and mix until smooth. Season with salt and pepper to taste. Serve at room temperature with cucumber slices, cherry tomatoes, and baguette slices. Like I said: Pair with cucumbers and tomatoes and you're kind of healthy. Add a fresh baguette to the equation and you've got something super tasty — like an extra-special cucumber sandwich. Methinks we could use more of those in this world. 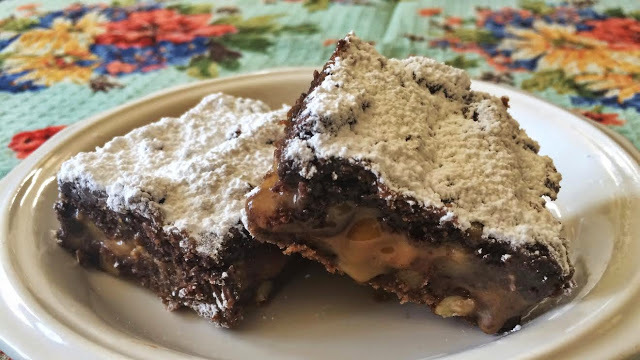 Baking killer brownies with a caramel & pecan center. Brunching at Cafe Corazon and wanting to lick the plate. 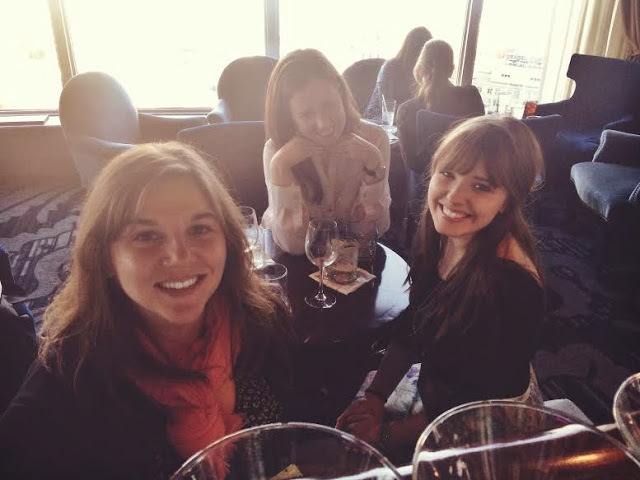 Happy Hour at Blu (you gotta go!). 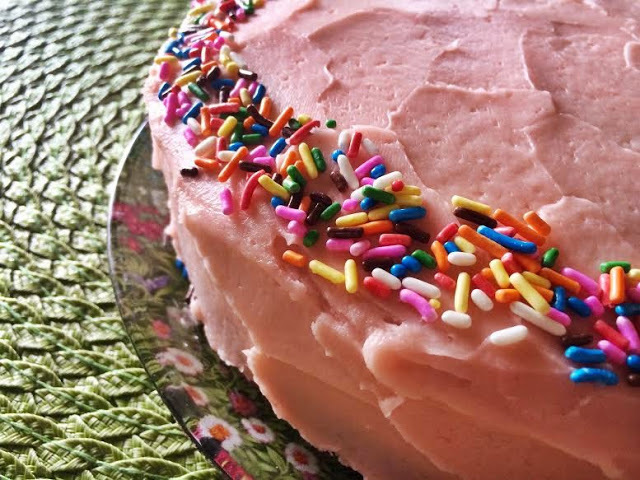 Celebrating 1 year of blogging with homemade funfetti! 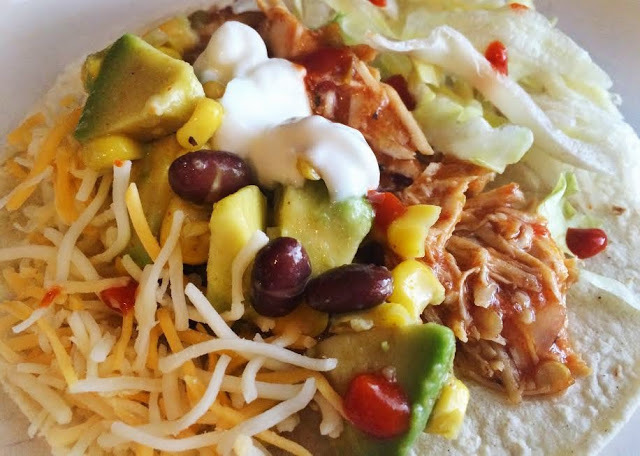 Making easy chicken tacos for a Monday night dinner. 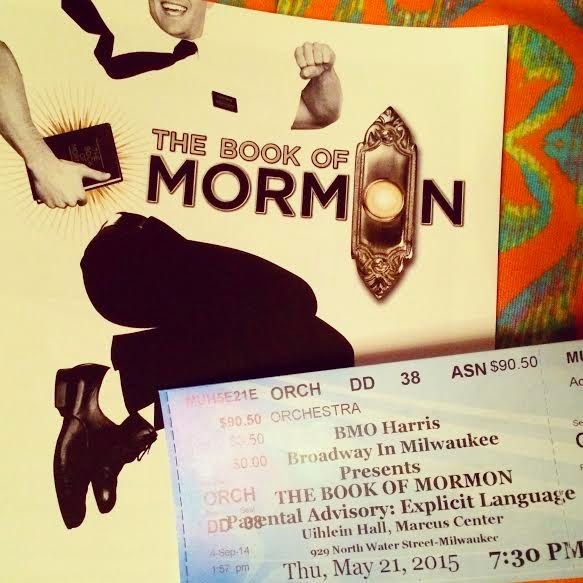 Seeing "The Book of Mormon" and loving it. 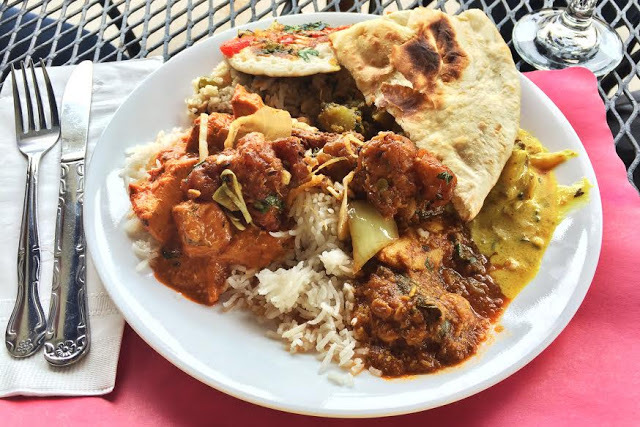 Lunching at Taste of India. Why is everybody down on lemon? I love lemon: Lemon bars, lemon pie, lemon cake, lemon Sour Patch Kids (I know). I feel like I'm often in the minority on this one, but whatever — more lemony goodness for me! These cookies have just a few ingredients (awesome) and the texture is wonderful: crisp, but totally light and melt-in-your-mouth. You can play with the amount of lemon, vanilla, and salt (I did some winging it here since, after mixing up the original recipe, the dough tasted like it needed a little something extra). Let's get down to it! 2. In a small bowl, pour some granulated sugar and some lemon zest. Pinch together some dough and use your hands to roll it into a ball (I made mine smaller than a ping pong ball). Place the dough ball in the bowl of sugar and zest and toss to coat. Place the dough on a cookie sheet. Repeat to fill up the cookie sheet (since I made mine small, I got about 24+ cookies out of this recipe). 3. Use butter to grease the bottom of a small, flat-bottomed drinking glass. Dip the bottom of the glass in the sugar and zest, then gently flatten the first dough ball to about 1/4-inch thick. Repeat to flatten the remaining dough. Sprinkle each with additional sugar/zest. Bake at 375 for 8 to 15 minutes (depending on the size), until the cookies have just set (they should be very barely golden — to know if they're done, check to see if the bottom of the cookie is golden). These aren't a flashy cookie. They're not for people who need a lot of frosting and chocolate and ooey-gooey-ness in order to appreciate dessert. 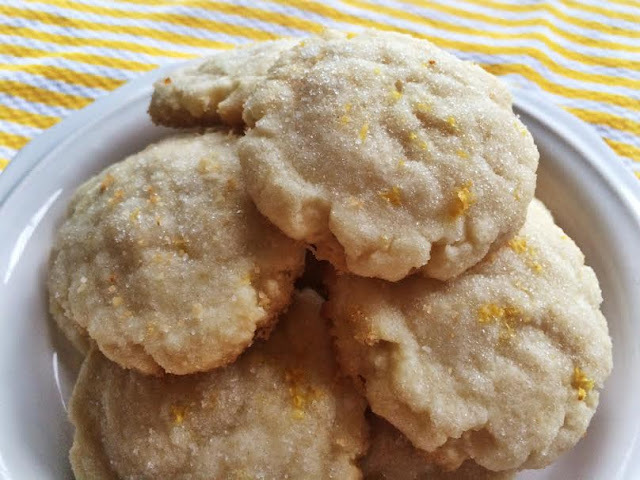 While I love those things, sometimes you just want something simple and sweet — and for that, these lemon cookies are perfection!